How to Handle Frequent Mood Swings - Something New Everyday! In a particular day, you may pass through several mood swings depending upon your circumstances. For instance you are sad, or happy, irritated, annoyed, stressful, depressed, cheerful or angry at different moments of time. As long as you are happy, everyone around you is fine with that however if you have a lot of mood swings in terms of being irritated, annoyed, sad, angry, reactive or stubborn it becomes a challenge for others to move along with you. Because of your swift mood swings your personality becomes unpredictable. The more unpredictable you become for others, the more likely you have the chance to lose your respect within your friends, family and colleagues. 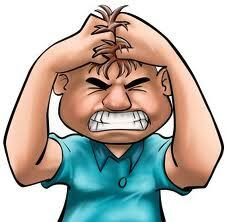 1- Analyze yourself on what are the triggers which cause your mood swings? is this an event, or comment or act or presence of a person? Fix the problem or start loving it. 2- Respect the fact that every single soul is a unique in terms of thinking and acting. You cannot order people to follow your way of thinking and living. Relax. Give respect to earn respect. It takes two hands to clap. 3- Write down your triggers on a paper. You will notice that your problem is not that much big! 4- Discuss your issue with the person and find out a solution. Be flexible. You may not be right in your demands or you may be completely wrong in your demands. Be honest, analytical and logical while you share your comments and desires. 5- Observe others on how they react in different kind of circumstances. Find out a mentor in your life you can follow. Or even you can observe everyone because everyone has something to teach you. Closely observe. 7- Develop Trust in your relations so that people feel easy to get along with you. 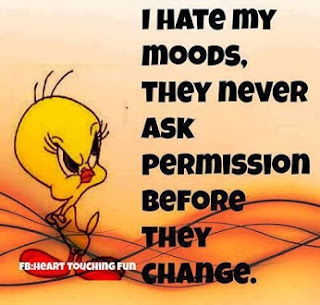 What are your thoughts in controlling your mood swings? Who Are Consultants What Qualities Do They Possess?